This dish is an all-time favorite to the traditional Tamilian. 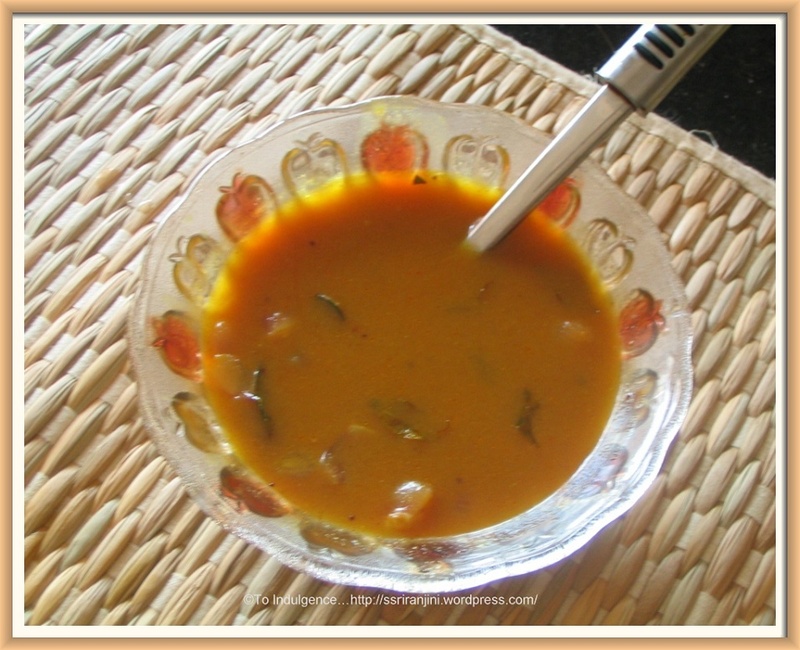 This may be prepared with a whole slew of fresh vegetables or marinated and dried(vatral) vegetables. This dish tastes best when mixed with rice and eaten with papad (appalam). 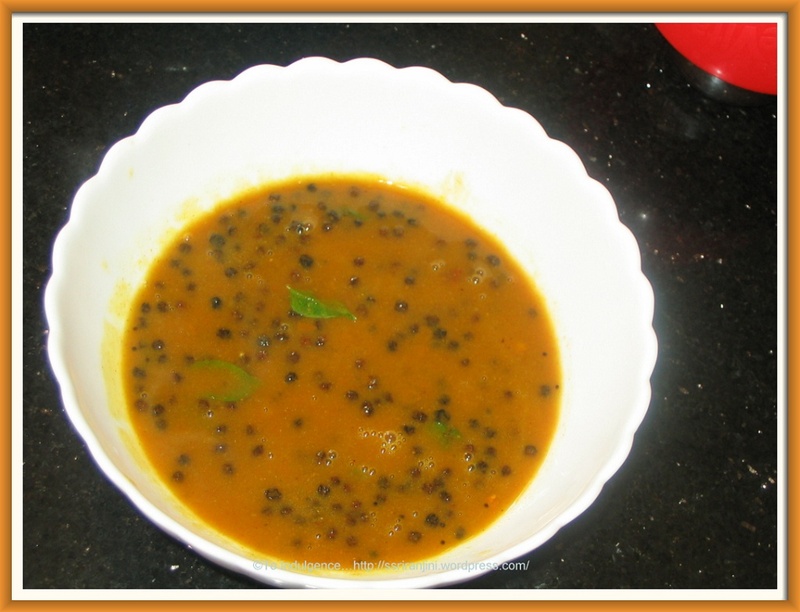 Vatral is prepared by soaking the vegetables like manathakkali(black-nighshade), sundakkai(turkey berry), kothavaranga(cluster beans) in buttermilk, salt and dried in sunlight. These are also readily available in super-market. When small onions is used as the main vegetable, the tangy taste of the tamarind, the aroma of the small onion in combination with curd rice, tastes like ambrosia. 1. Heat the oil in a kadai and sauté the mustard seeds, fenugreek seeds, red chillies, toor dal and asafoetida till golden brown. 2. Add the curry leaves, any one of the above mentioned vegetables and fry for 1-2 min. Add the sambar powder and fry for another 1-2 min till golden brown. 3. Squeeze out the tamarind juice and dilute this juice in 2 cups of water by repeating the process. Add to the fried mixture. Add salt to taste. 4. Allow it to boil till the mixture thickens. 5. Serve with papad and plain rice. 1. 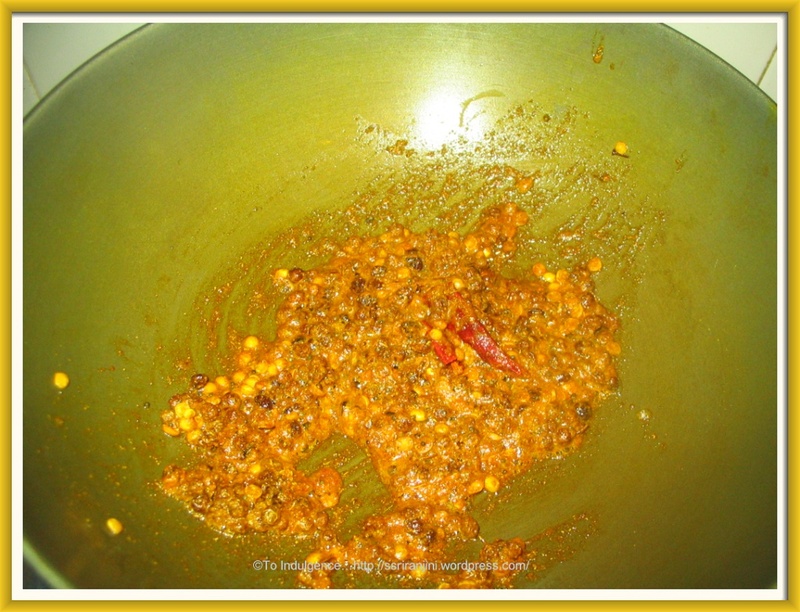 If the ‘kuzhambu’ is too watery and does not thicken, add 1 tsp corn flour in ¼ cup of water and allow it to boil till the mixture thickens. 2. Instead of vegetables, if you select fried papad, follow the method as mentioned above and add the crushed papad at the end. It is really useful for people like me who is fond of south Indian veg food.